The are a number of different EcoCooling control systems available when choosing the right evaporative cooling system. Small EcoCoolers (coolers with fans) come with a 5-speed wall controller as standard, the larger one with a 2-speed. For more complicated systems which require EC fan, dampers or recirculation control, a CREC system should be accounted for. The CREC system was originally designed for use in data centres, however, due to the low cost of components, has now become a viable option for industrial installations which require additional functionality (e.g. gyms/leisure/pharmaceutical warehouses). Thermostat: The fan speed and cooling mode are adjusted according to the building temperature. Since all communication is by simple switches connection to other systems is very simple. Only pure water evaporates from the filter pads leaving behind any salts, dissolved solids and particles filtered from the air. The sequence below shows how these gradually concentrate as the cooler is replenished with water. If this buildup was allowed to continue then scale would form and sediment would build up. Water is at the heart of any evaporative cooler. Its control is vital in maintaining an efficient and hygienic cooler. 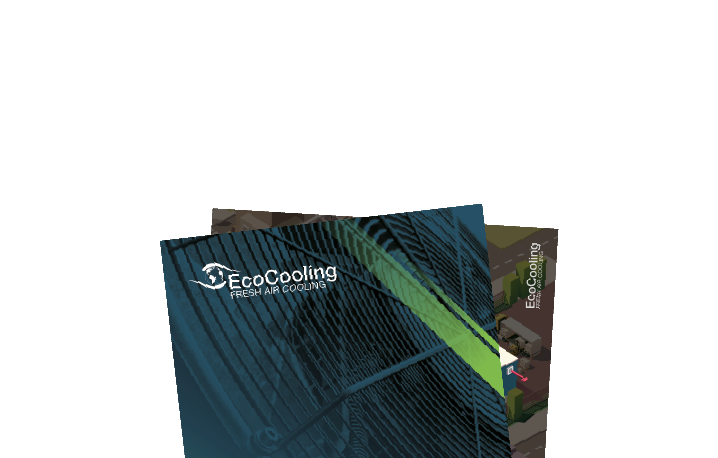 The EcoCooling range of coolers has the most sophisticated process controls available based on very simple engineering. The water control system is based on four level probes. As the water rises the water inlet valves are turned on and off to maintain the working level between the Low Level and the High Level. The process control system counts the number of times the sump is replenished between LL and HL. From this it calculates, according to the water quality, when to drain the sump as the water approaches the scaling point. The factory default bleed rate is 30% which is suitable for most mains water. This bleed rate can be changed from 18% to 46% to accommodate other water qualities. For details of controls for specific units and systems, please see the data sheets. An EcoCooling control system panel is integral to the success of any installation which requires recirculation or attemperation and it comes as standard with all ECT units. 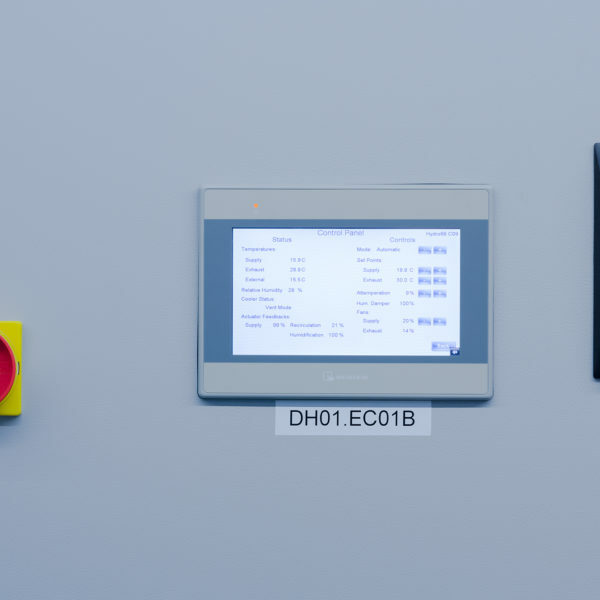 The standard control system is Crouzet and the program has been developed by EcoCooling in-house over the last 10 years to optimise both the energy savings and operation of the cooling system. Versatile Communication Options: Modbus TCP/IP allows for easy communication into most major BMS systems. An inbuilt VNC server facilitates remote access to the HMI from most mobile phones and tablets. Assistance with converting data and SNMP logging is available on request. Resilience: All systems can be designed to ‘fail-safe’ and incorporate manual control and backup power options to ensure fans will continue running in the event that a control system goes down. Redundancy: There is an option for key sensors to be duplicated and refrigeration to be automatically activated as a backup if there is a fault. Alarm Notification: The control system automatically generates notifications of faults, which can be made available to BMS systems. Email and text notification can also be enabled. Direct links to fire systems are available when activated the control system automatically closes fire dampers and switches on any backup systems. Historical Data and Event Logging: The HMI can log and present different variables as a trend display. Chosen data can be stored on the HMI for download at a later point via USB, SD cards can be used to expand the memory available for storing data. This data can also be emailed after a predefined fixed time interval. Remote Commissioning: EcoCooling offer a remote commissioning service, saving time and money, particularly in foreign locations.